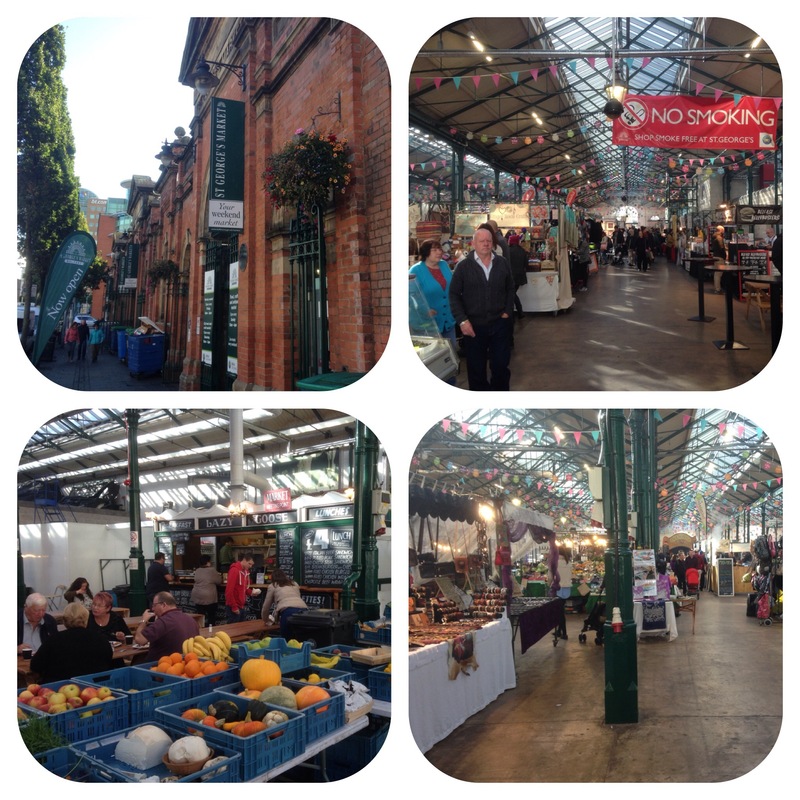 This market pleasantly surprises me every time I go!!! I end up discovering fantastic foods which have been there for ages!!! 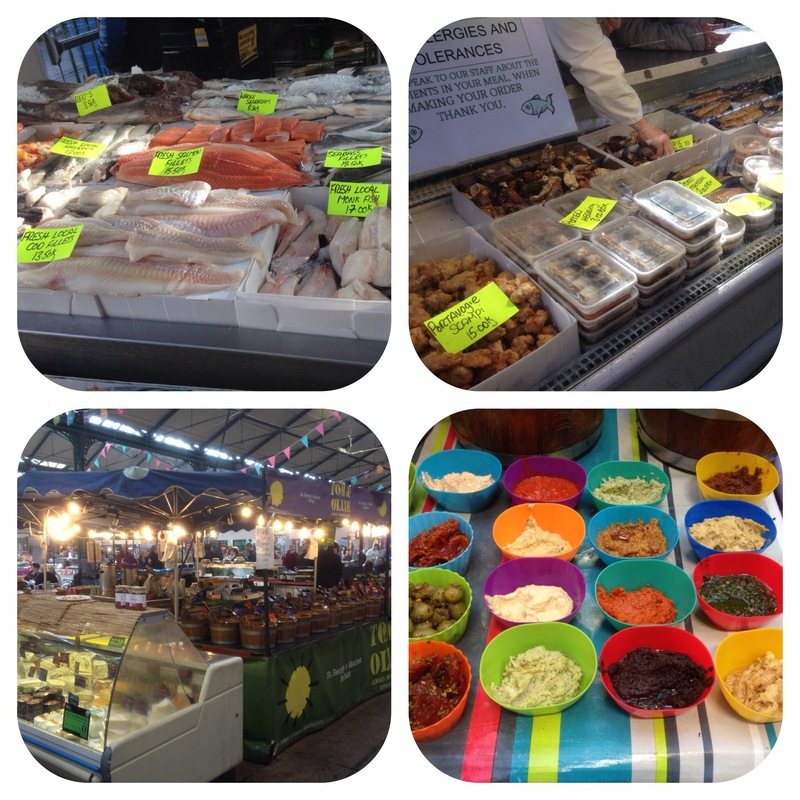 An example would be Desmond the fishmonger from Portavogie, who sells amazing looking fish!! Tom and Olly’s the olive, cheese and dips stand (above) is also a fabulous stand-lots of excellent produce and produced in Broughshane. I stopped specially to see Niall McKenna’s cookery demo of him making some fabulous prawns, fish and Pork and was lucky to try some and it was delicious-can get these dishes at his James Street South, Hadskis and Cast and Crew!! 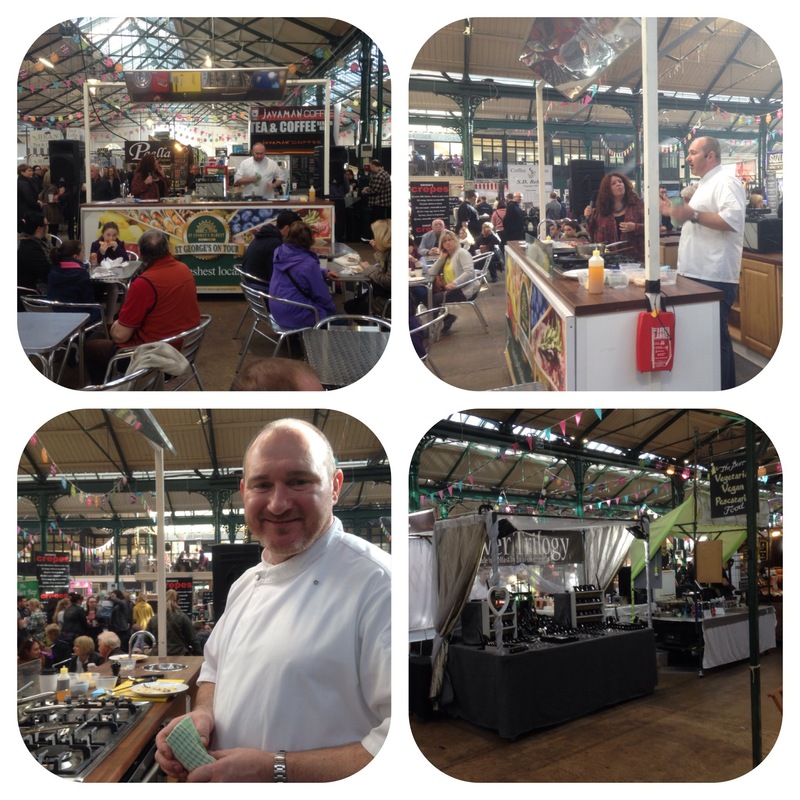 Niall is well and truly a part of the culinary fabric of Belfast and is very busy with Belfast Restaurant Week. 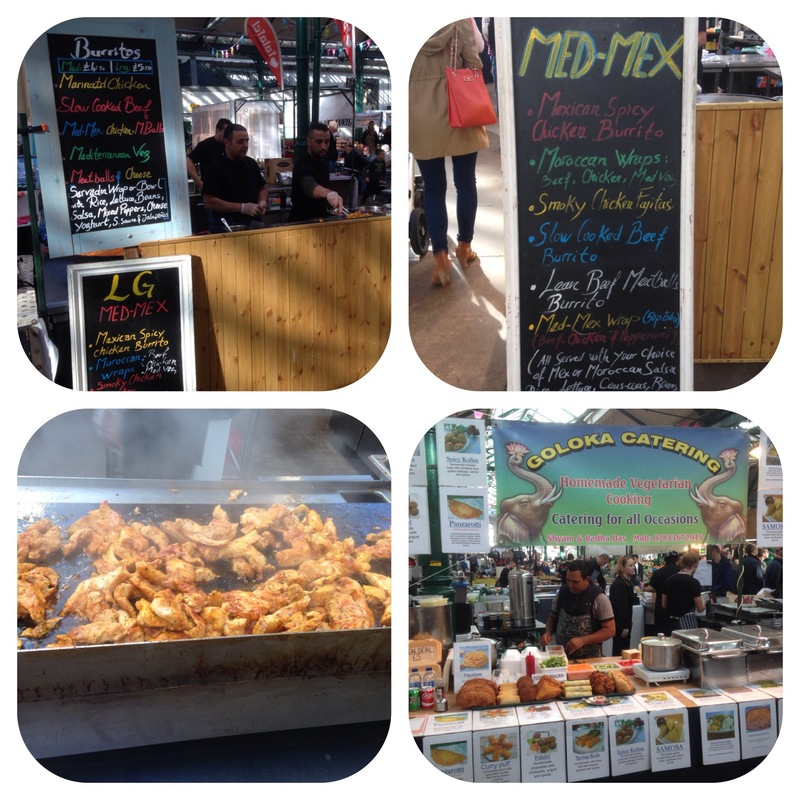 I also caught up with Med Mex who do Mediterranean/Mexican food and Shyam from Goloka Catering, an Indian veggie stall. 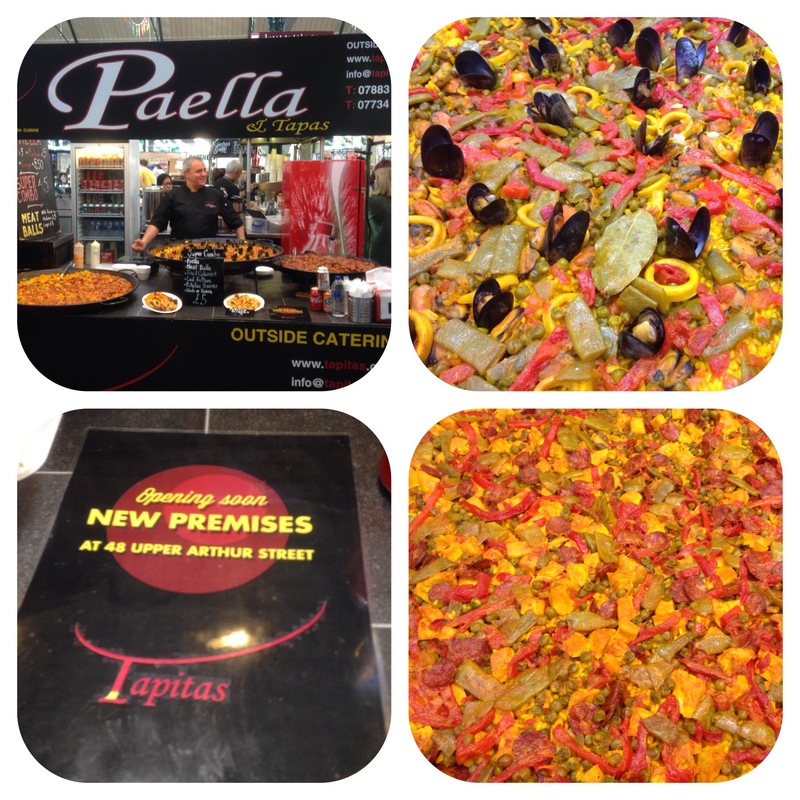 It’s great to see the Spanish paella stall La Tapitas doing well and they’ve opened an outlet in Belfast. The atmosphere was amazing and I must say for a Sunday morning it’s a fine way to spend a few hours!! 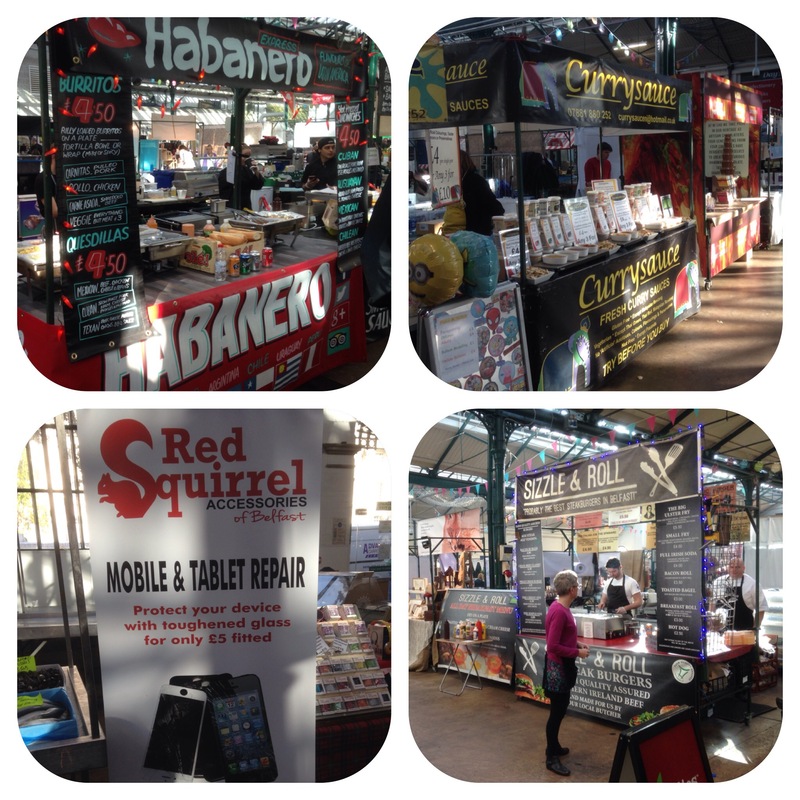 Competition for Good Food Show Tickets! !